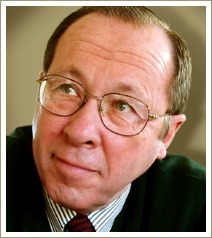 The Read-Aloud Handbook is a well-known book about the importance of reading to children written by American author Jim Trelease. 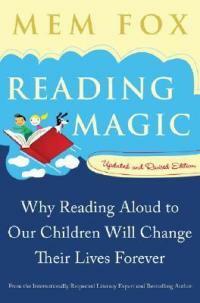 I first came across The Read-Aloud Handbook as I was researching material for this website. I've always been an avid reader and enjoyed reading aloud to my own children but had no idea how important it was at the time. I was fascinated by the evidence Jim had found about the the importance of reading generally and of reading aloud to young children in particular. The benefits of reading to children include better language skills, more highly-developed cognitive abilities and improved concentration spans, all of which lead to better outcomes at school. The idea for The Read-Aloud Handbook came about when Jim started volunteering in community classrooms at the same time as he and his wife were raising their two children and reading aloud to them every day. In the classrooms he visited, Jim noticed differences in the amount of reading children did and started to wonder why some children enjoyed reading and some didn't. He went on to examine the research and became fascinated by the evidence that reading could make such a huge difference in the lives and futures of children. The research was there but only in academic publications so Jim wrote the first edition of The Read-Aloud Handbook in 1979. The first edition of the book was self-published because, as Jim says, "I never thought any of the major publishers would be interested in it. At that point, 'reading aloud' was too simple and not painful enough to do the child any good. At least, that's what many educators thought." The book was discovered by a new literary agent and was turned down by six other publishers before it came to the attention of Penguin USA. In 1982, Penguin published an expanded edition which was the subject of a letter to Dear Abby in February 1983. The book then spent 17 weeks on The New York Times bestseller list. There have been a number of editions of the book since the 1980s, the most recent being the 2006 edition which is the one I have. 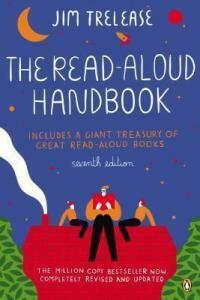 What's In The Read-Aloud Handbook? 9. TV, Audio, and Technology: Hurting or Helping Literacy? If you’re a parent or parent-to-be, think about borrowing or buying a copy of The Read-Aloud Handbook. It’s inexpensive, easy and entertaining to read and a real eye-opener!